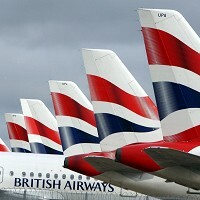 British Airways (BA) is set to issue Apple's iPads to its senior cabin crew with an aim to revolutionise onboard customer service. According to the airline, around 2,000 senior cabin crew across its short and long-haul network will be equipped with new iPads. In a bid to provide a more personalised service, the devices given to the crew are loaded with specially designed software and applications which allow them to access data about passengers, such as preferences and previous travel arrangements. With the tablet, the crew members can access data such as where each customer is seated, who they are travelling with, their Executive Club status, any special meal requests and onward flight connections. However, ahead of setting off on a journey, passengers may find it useful to have an adequate travel insurance policy in place. The device also helps the crew to replace the need for the endless papers which have traditionally been given to them before a flight departs, listing the details for as many as 337 passengers. Frank van der Post, BA's MD of brands and customer experience, said "Once the roll-out has been completed, our crew worldwide will be able to offer a premium and more thoughtful onboard service to customers in every cabin."